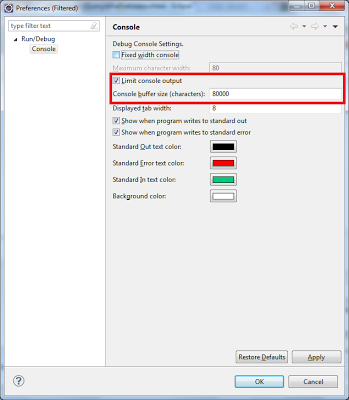 In How to customize error messages for jQuery validation plugin guides us customize error messages for jQuery validation plugin. But nowadays, multilingual is a requirement for most of the application. Thus on top of customized messages, we need to provide multilingual support for the error messages. This article will show an easy way to provide multilingual support for jQuery validation plugin. The trick is to keep our customized error messages in resource bundle. The last step in setting up CVS is to set up the mirror server for disaster recovery, when there are any unexpected event happen, then we can switch to the mirror server immediately without affecting our development. for more information about cronjob, please refer here. jQuery validation plugin is a lightweight, easy to use and powerful validation tool. But when we want to use it with JSF, some special handling are required for it to work, due to the JSF component's clientId. 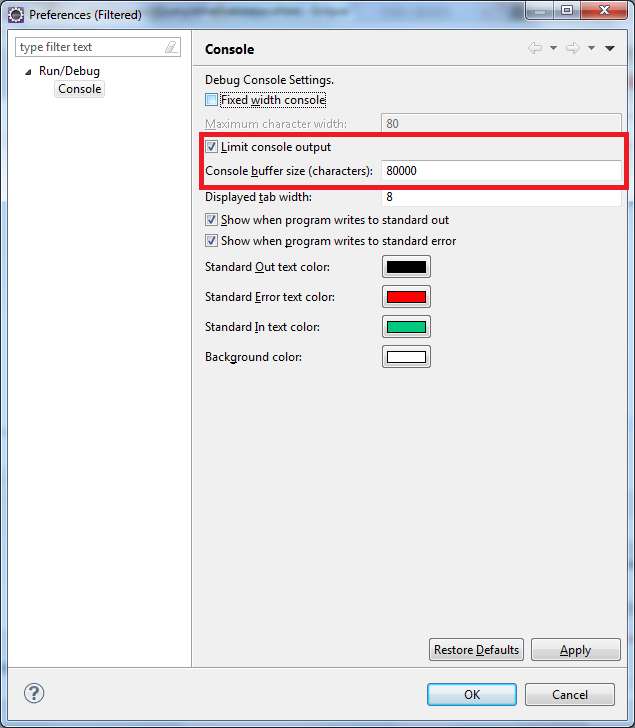 In this article, Primefaces 3.5 is used, and solution demonstrated below should be suitable for all other JSF implementations. 1. Create the form and components that required validation. 2. If the target project is not JSF (strust, servlet, etc), the following syntax used. jQuery validation plugin is lightweight and easy to use, the validation rules and error messages are provided by default. Thus, it's save our time to validate various form fields. eg, credit card, email, etc. But sometimes, we still customization to it, one of the very common customization is error message. The option to customize error messages is opened, we can always provide our own error messages. Here shown a sample for custom error messages. There are many ready validator in JSF, eg. <f:validateLongRange />, <f:validateDoubleRange />, <f:validateRegex />, etc. for more information about JSF validator, please refer here. Team synchronization is very important is software development to make sure the team are working on the same stuffs and version. at this moment, CVS is chosen to do the synchronization, more details about CVS please refer wikipedia. 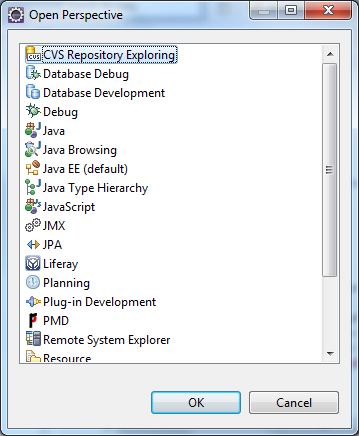 The reason the title only for Java Development because Eclipse is chosen as the CVS client. 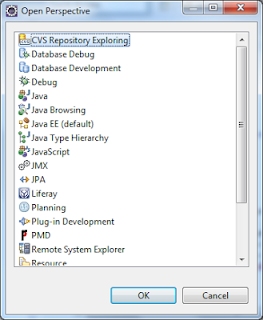 Switching CVS repository for a Eclipse workspace. Workspace's CVS repository could be changed. Normally due to upgrading the CVS machine or moving the CVS machine to another data center and hardware failure on the original CVS machine. After the server migration completed or pointing to the CVS backup server due to hardware failure, configuration from CVS client is pretty simple. A taglib descriptor in JSF is a taglib.xml. taglib descriptor allowed us to define our custom namespace, convertor, validator, composite component, and facelets function. more details about taglib descriptor could be found here. jQuery validation plugin is a helpful and easy to use validation tool to validate form. From the examples shown in the jQuery validation plugin official site, we can see the validation on single form field only. Credit card validation and Email validation with jQuery in my blog are the single form field validation example. We can actually validate multiple form fields in one shot with jQuery. Below is the sample syntax to validate multiple form fields with jQuery validation plugin. COMMA(,) is the separator of multiple form fields. This is a lightweight and easy to implement credit card validation with jQuery. With jQuery, server processing is not required; and all the complexities are hide. another way to validate credit card is with regular expression. There is only 3 steps to validate credit card number with jQuery. The objective of this post is to increase the line number in Eclipse console log, so that more information logged and show to us to increase the ability to debug and resolve an issue. 2. (a) increase the line number (default 8000) if just to show all more lines console log. There are many ways to validate email address, the most famous way could be regular expression. and now comes an easiest way, it is jQuery validation. The benefits to do validation with jQuery are light weight, and jQuery performs client side validation, thus it can improve server performance by reducing server calls, and reduce bandwidth. There are only three steps to go. This is a tutorial to show the branching process in CVS server with Eclipse as the CVS client, and this is part Team Synchronization tutorial. p/s: for existing branch, just copy the branch name into the text field. This is a tutorial to show the checkout process from CVS server with Eclipse as the CVS client, and this is part Team Synchronization tutorial. If there are no existing repository, choose Create a new reposity location. 3. Use an existing module, choose one or more modules > Finish, or Next to choose branch other than HEAD. 4. Next > Next > Refresh Tags > Choose preferred Branch or Version > Finish. 5. Wait for the checkout and available to use in workspace.